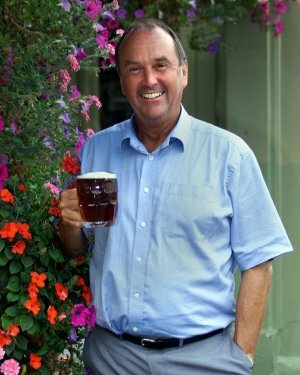 “Bruce was an enthusiastic young entrepreneur … (and) he and his wife, Louise, had firm ideas about how a good pub should look and their Goose & Firkin rejected the flashy corporate styles of the preceding decades”. Britain’s Beer Revolution by Roger Protz and Adrian Tierney-Jones, published in 2014 by CAMRA Ltd.
“It wasn’t until the 1980’s that the brewpub made a noticeable return to the London through David Bruce’s Firkin chain, which offered drinkers what was then a novel glimpse of a brewery at work while they drank”. Brew Britannia – the strange rebirth of British Beer by Boak & Bailey, published in 2014 by Aurum Press. “ The roots of this sudden boom [in brewpubs after 1979] can be traced to the arrival on the scene, and instant success, of the Firkin chain of brewpubs… which, in may ways, prefigured that of the more modern craft breweries”. "Many of the pioneers attended the first Homebrewers and Microbrewers Conference held in 1982 in Boulder, Colorado. Charlie Papazian, President of the American Brewers Association, was proud of the number of brewing-world luminaries who attended. Among them was David Bruce, the Monty Python of the British microbrewing movement and founder of the Firkin chain of brewpubs". The Oxford Companion to Beer, edited by Garrett Oliver, Masterbrewer of the Brooklyn Brewery, published in 2012 by Oxford University Press. “David Bruce has played a catalytic role in the craft brewing revival in Britain and beyond… The popularity of his Firkin pubs did not go unnoticed in the United States… Many American brewers have credited Bruce as their original inspiration and he later invested in several American craft breweries”. Microbrewed Adventures by Charlie Papazian, President of the American Brewers Association, published in 2005 by HarperCollins. “I believe that David and Louise Bruce, more than any other individuals, were responsible for igniting the worldwide brewpub revolution… David and Louise ignited not only America but the world”. Entrepreneur – Eight British Success Stories of the 1980s by Paul Burns and Tony Kippenberger, published in 1988 by Macmillan. Forward by Prime Minister, Margaret Thatcher, “I congratulate all those featured in this book for their drive and determination to succeed despite the many difficulties they faced…”.